By Jorge Ramos. 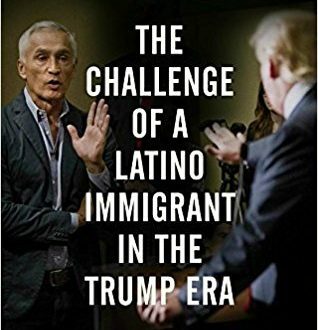 An Emmy award-winning journalist, Univision’s longtime anchorman and widely considered the “voice of the voiceless” within the Latino community, Ramos was forcefully removed from an Iowa press conference in 2015 by then-candidate Donald Trump after trying to ask about his plans on immigration. In this personal manifesto, he sets out to examine what it means to be a Latino immigrant, or just an immigrant, in present-day America. Using current research and statistics, with a journalist’s nose for a story, and interweaving his own personal experience, Ramos shows the changing face of America while also trying to find an explanation for why he, and millions of others, still feel like strangers in this country. Read more.